Reader's Query - How to Look Sassy in Satin ?? Satin defines feminine sensuality with a luxuroius feeling and oomps confidence all in all. For special occassions to red carpets, my hot favorite satin gown exudes hotness all the way. So, If elegance is your style mantra, this is what you want…! The classy combination of satin and chiffon gives you the perfect look on a special occasion. Really impressed with the studded brooch and the chiffon trail which takes the sensuality of the gown to a next level. 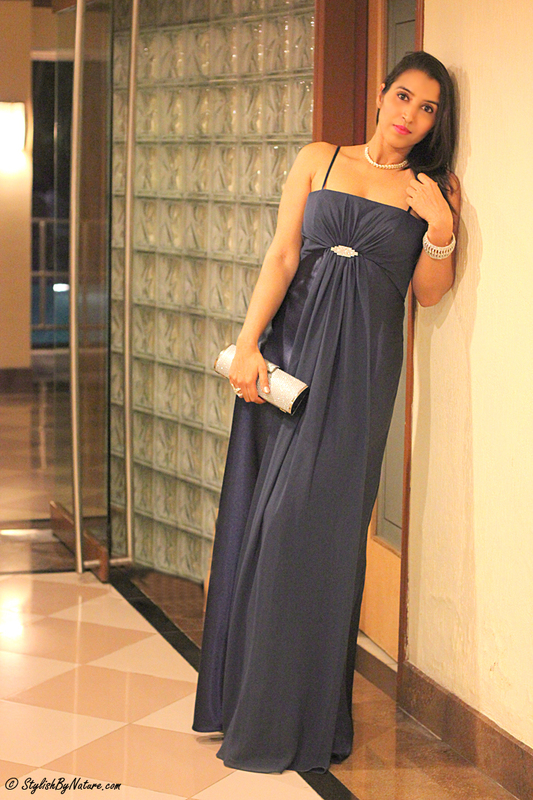 Adorn yourself in this navy blue gown to be a class apart !! Tip: Just a pair of diamond studs to go with the embellished buckle. It will work wonders And of course, killer stilettos is a must with this beauty! ShopImagine is an online shopping portal with a lovely mix of products which any woman would love – Casual & Semi-formal tops bottoms and dresses, Lingerie, nightwear – it has it all. Talking about their apparel collection, one may chance upon rare combinations like - Aztec prints + Pallazo/High-low dress, Tropical Prints + Crochet, Lace + Boleros/Peplums, Sheer + Studs and many more. It offers unique styles which are otherwise difficult to find. That’s what sets ShopImagine apart from other shopping portals. 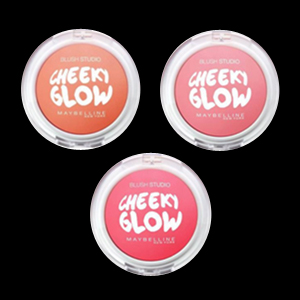 I am really thankful to Maybelline team to introducing me to this wonderful new range of Cheeky Glow Blushes. The blushes comes in three fresh shades - Creamy Cinnamon, Fresh Coral and Peach Sweetie. You look stylish, elegant and like a real star..flawless beauty!! I love your evening party dress. You look super amazing. This look is so elegant! Love the gown.. you look incredible here! Beautiful dress and beautiful you! You have styled it so elegantly. You look gorgeous! You are magnific very stunning dress. You look ready for the red carpet, fantastic! U look stunning as always! Wow you look like a Hollywood star. That gown is simply stunning. This gown is gorgeous, you look very elegant in it!